Top Edinburgh venue and tourist attraction, The Real Mary King’s Close has been awarded a Visit Scotland Scottish Thistle Award, celebrating success, innovation, and best practice in Scotland’s tourism industry. The win builds on previous success last November, with the venue scooping up two prestigious Lothian and Borders regional wins for Best Visitor Attraction and Best Heritage Tourism Experience. 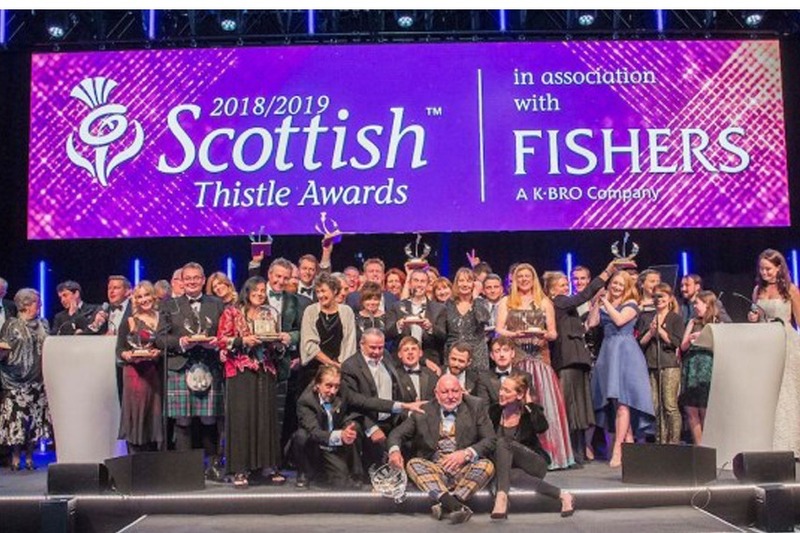 During the Thistle Awards finals, hosted at the EICC this week, the team picked up the VisitScotland Thistle Award for Best Heritage Tourism Experience across the whole of Scotland and a special commendation for Best Visitor Attraction. Explaining the excitement of the win, the team said: “It has been an incredible start to 2019 securing these titles and achieving such recognition. Saying thank you at this point doesn’t seem like enough to convey how grateful we are and the pride we feel in our site, it’s history and our team. To start planning your next event at this award winning Edinburgh venue, please get in touch by completing an enquiry form.